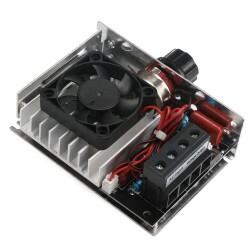 It is a Two-way Super Power SCR, the highest up to 7000W, AC voltage 220V, high power and heat st.. 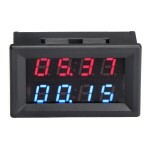 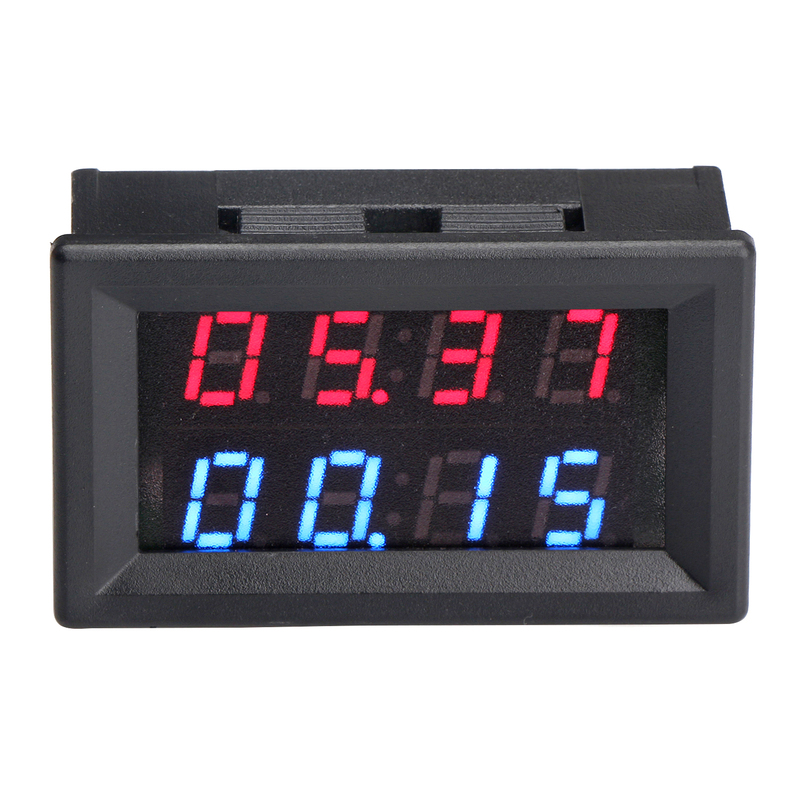 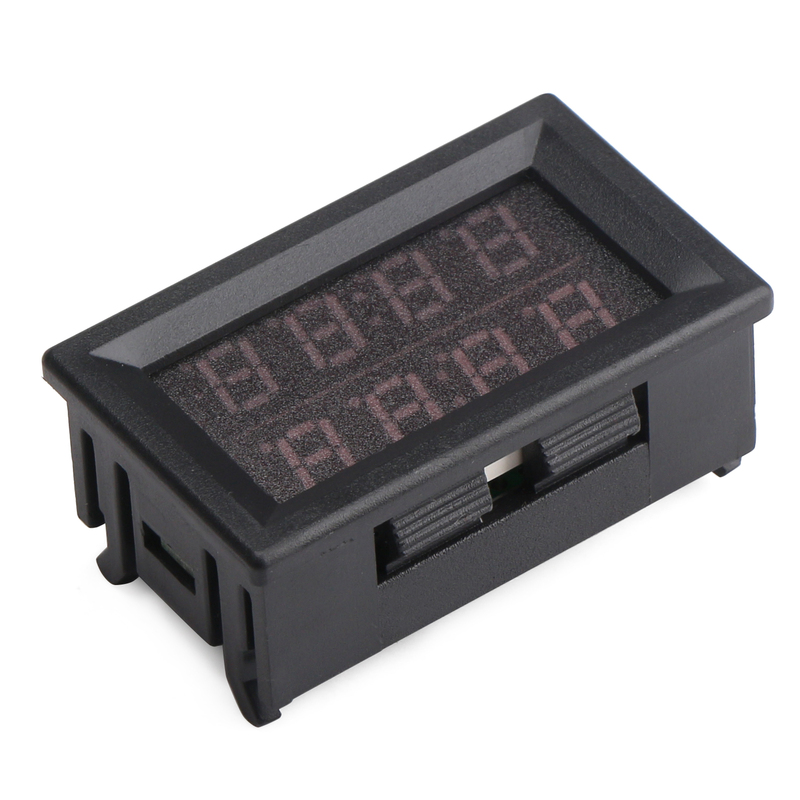 It is a 2in1 Digital Tester, Power supply: DC 3.8~30V, Measuring Voltage range: DC 0~100V, Measuring Current range: 0~100A, Test accuracy: ± 0.2% + 2 words, Display color: red voltage + blue current, It has small size, high efficiency, long term stable and reliable quality,easy installation and use . 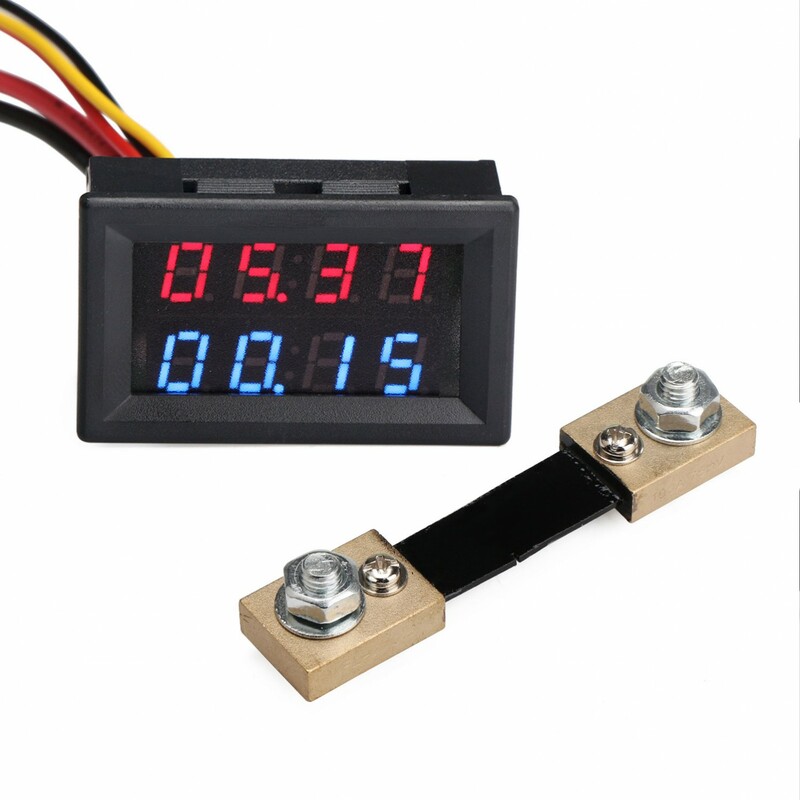 Applications:Suitable for Auto,Electric bikes,motorcycles, LED lights, industrial equipment,electronic equipment measurement or other products voltage current measurement. Current resolution: when within 100A, 00.00~99.00; when 100A, 100.0. 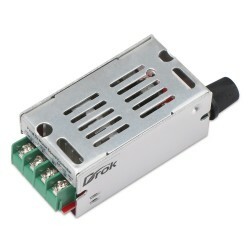 With reverse polarity protection, but the input still can't over 30V when connecting reversely. 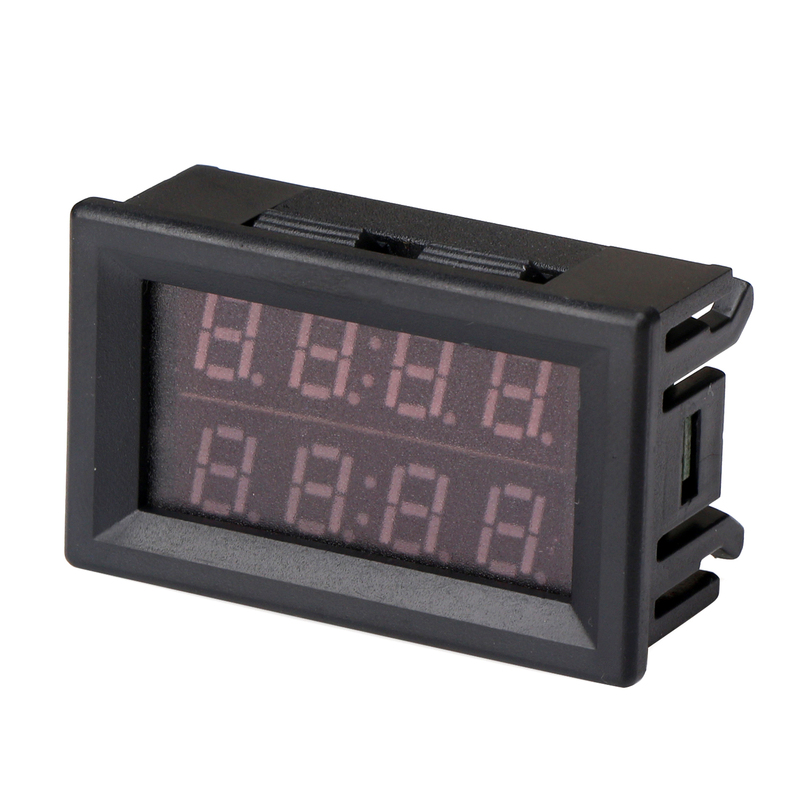 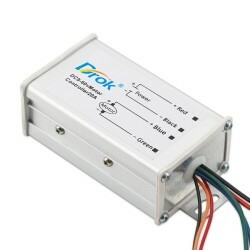 The meter can measure positive voltage and positive/negative current, the decimal point will flash when measuring negative current, and it will automatically move when less than 1A, unit is mA. 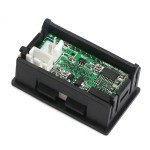 Current sampling uses an independent AD conversion chip, more stable and accurate. 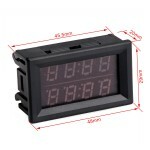 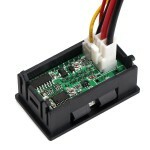 Very suitable for monitoring battery. 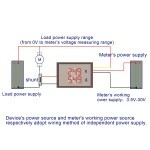 The meter must be powered by an isolated and not common ground power supply, or it will cause large errors when measuring current, and the best is DC 5V. 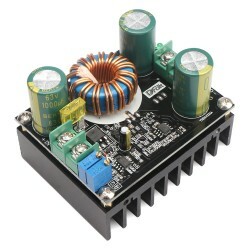 You can also make an isolated power supply by an isolated module. 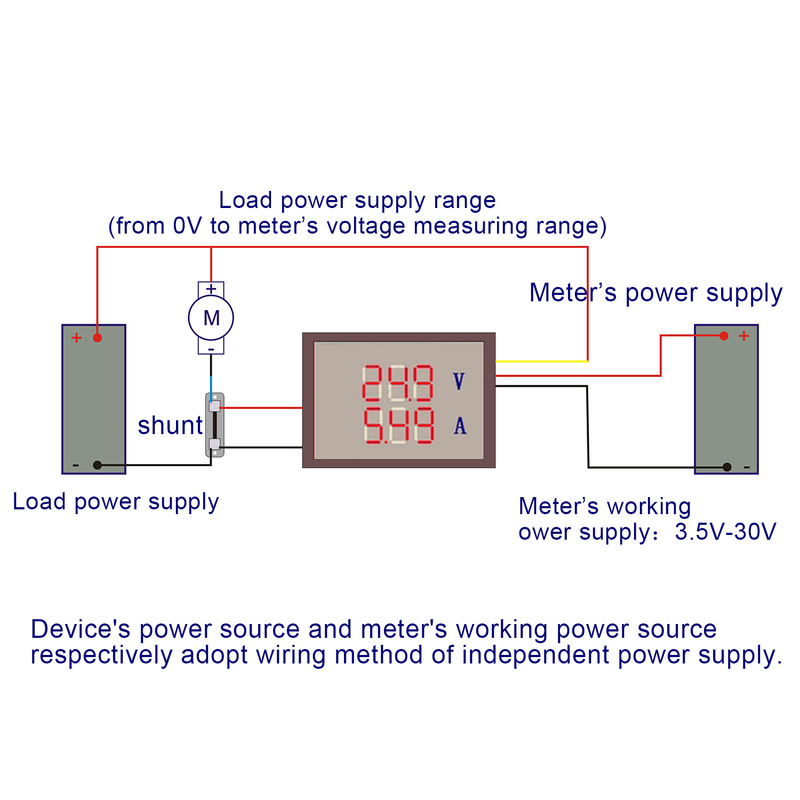 The meter should be connected to the negative to measure current, or it will be burnt.